Usain Bolt runs his final race on Saturday, taking to the track as part of the Jamaican 4x100 meter relay team at the IAAF World Championships. The world’s eyes will be on the London Stadium as this global sporting icon bows out after a glittering career. For his home nation of Jamaica, the opportunity was simply too good to miss. As part of celebrations surrounding the event, the tourist board has established Jamaica House in the British capital, welcoming the cream of musical talent from the Caribbean island to the festivities. The event is part of a wider move to leverage the global spotlight provided by Bolt and the goodwill generated by his farewell. As Edmund Bartlett, tourism minister for Jamaica, explains ahead of the race: “Big events have always contributed to heightening the profile of our country. “They allow us to focus on the talents of our people and, for tourism, your people are the biggest attraction. “We can focus on people, their skills, their talents, and their contribution – it brings attention to Jamaica. The last time Jamaica invested so much in London was during the 2012 Olympic Games, which, minister Bartlett explains, paid off handsomely. “In the post-Olympic period we saw substantial growth in visitor arrivals out of the UK. “We have no doubt that this spirit will return and we will see more people arrive in Jamaica. “We also attempted something similar in Berlin, and today we are seeing arrival figures returning to where they were 20 years ago – that is significant. “We are getting better airlift out of Germany, with Lufthansa and Eurowings. “This will not solve the problem fully, but we have gone a long way toward it. Overall Jamaica tourism has been enjoying something of a boom in 2017. On June 17th the destination reached the one million visitor barrier earlier than ever before, while the sector also earned in excess of US$1.2 billion in the first six months of 2017, another landmark. “These guests are coming from our traditional markets,” explains minister Bartlett, “Canada, the USA, and UK remain very important to us. “But we are getting an incremental increase in people coming from South America. With these long-haul markets growing in importance, Jamaica has taken the initiative in joining with regional partners to offer multi-stop tours. Minister Bartlett explains: “We are in the process of concluding multi-destination agreements with the big four: Mexico, Cuba, Dominican Republic and ourselves. “This enables more connectivity for visitors from further afield, more opportunities and more experiences for them. Jamaica itself will welcome the UNWTO in November, for an event focusing on Partnerships for Sustainable Tourism, with a host of industry leaders expected to attend. Minister Bartlett adds: “The plans for this event are going extremely well, we have over 50 countries attending, with more than 200 delegates. Minister Bartlett explains: “The investment in building additional capacity at the convention centre is very important. Jamaica more generally has been investing in its infrastructure of late, most recently with the opening of a new toll road across the country. The new US$700m highway has dramatically reduced travel times between the north and south coasts of the country, allowing tourists to get around more easily. Travel times from Kingston to the tourism hot spot of Ocho Rios on the north coast are now approximately 30 minutes shorter. Likewise, it means that visitors to Jamaica have more options in terms of which airport they use. For example, visitors staying in Ocho Rios now have the option of landing in Montego Bay’s Sangster International Airport, or Kingston’s Norman Manley International airport, and having the same travel time to their resorts. Minister Bartlett continues: “Seamlessness is an important factor for any destination and the building of better infrastructure facilitates this; better airports, better roads. But it is not just the physical infrastructure that is important, with minister Bartlett quick to point to the social infrastructure, or the people of Jamaica, as equally vital to the success of the hospitality sector. To this end the ministry of tourism recently launched the Jamaica Centre for Innovation, which will offer opportunities for professional development to members of the industry. The Craft Development Institute, too, will train artisans in Jamaica, allowing them to offer more authentic national products to guests. “These initiatives help our people build capacity, to offer better service, and a higher quality of experience to guests. “We are looking at how we can grow experiences in food, shopping, wellness, sports, and culture. And who better to showcase these developments to the world than the soon to be unemployed Usain Bolt? Pushed on whether the sprinter will be taking a more active role in promoting his homeland, minister Bartlett is uncharacteristically coy. He concludes: “We are hoping he will take a formal roll, we are talking to him. 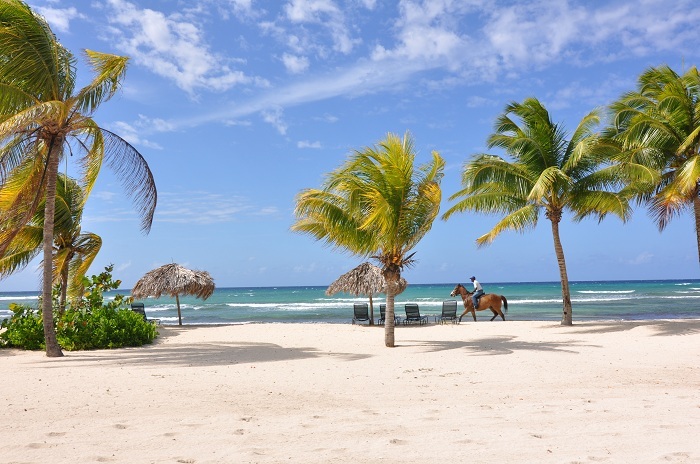 Jamaica Tourist Board - recognised last year as the Caribbean’s Leading Tourist Board by the World Travel Awards - is charged with the task of marketing the tourism product so that the country remains the premier Caribbean tourism destination. 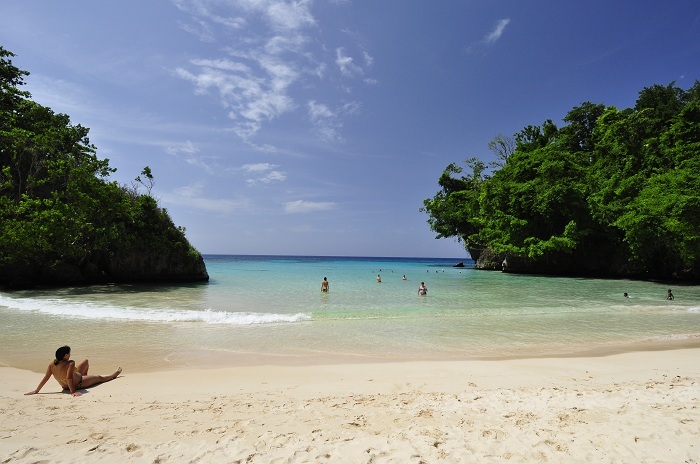 To this end, the body is positioning Jamaica as the most complete, unique and diverse warm weather destination in the world, which offers the best vacation value available.